As a cooking lover, you always want to make perfect meals for your healthy days, to serve your beloved guests, or simply want to organize your own kitchen professionally where you can create delicious dishes whenever you have time. As a mom of 3 children, I understand how hard to organize kitchen as well as cook meals perfectly. However, there is a fact that we can improve all things we want if we try hard and do it step by step. Kitchen cheat sheet – the #kitchen optimization hacks! 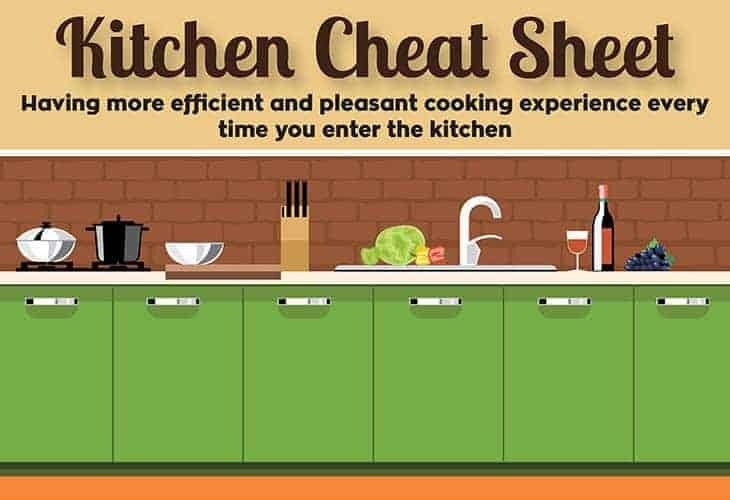 Hope that you can find the kitchen cheat sheet for yourself through this amazing infographic. If you find it helful, feel free to share it to your friends and don't be hesitate to leave comment below to share with us your comments.